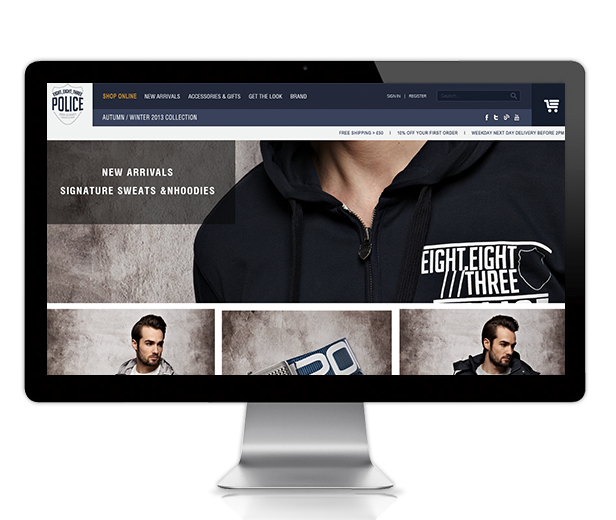 883Police.com embodies and encompasses the mix of Italian fashion culture with urban inspiration of new design lines and reflects the iconic, powerful and independent characteristics of the london based apparel brand. 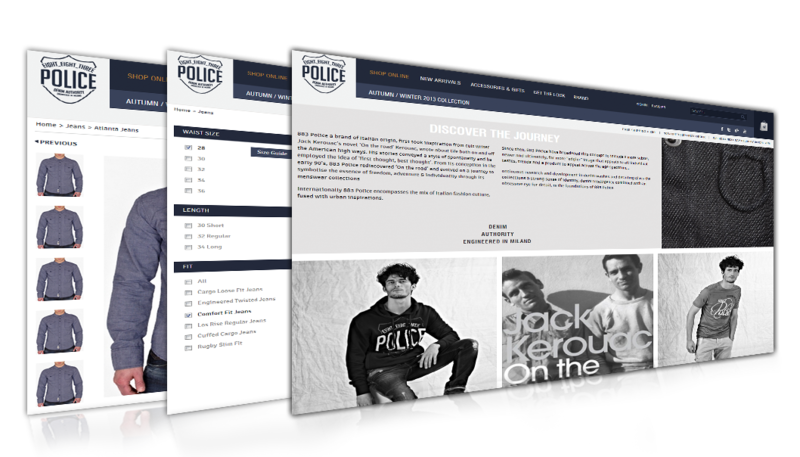 Key objectives outlined during the redevelop included an entire re-design that promoted the 883Police brand with a clean and modern approach as the outlet has always been a statement website for the fashion industry. Working in conjunction with the client's team we introduced a new look that met the requirement of a clean and modern approach. In order to improve the customers’ experience, we undertook various customisations beyond the core Magento functionality. To further streamline the checkout process we created a custom one-page system. The site uses an intuitive responsive design which resizes and rearranges products depending on the client device.